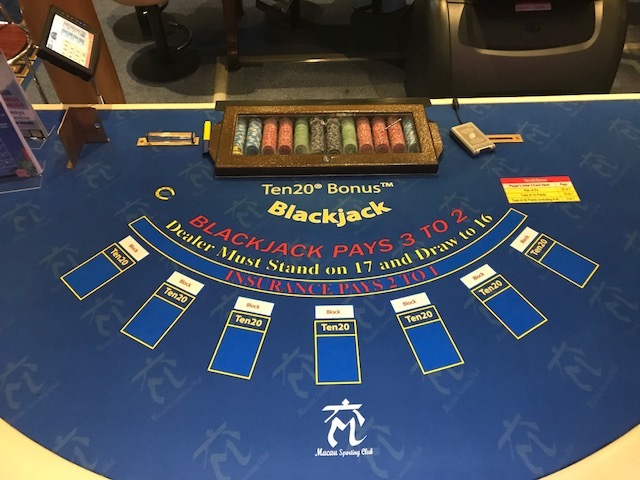 Ten Twenty is a blackjack side bet that wins if the player's first two cards sum to 10 or 20. The first placement I'm aware of was at the Macau Entertainment Complex in Cork, Ireland. Pair of fives: pays 22 to 1. All other two-card totals of 10: 10 to 1. All two-card totals of 20 (including ace-9): pays 3 to 1. The following table shows my analysis for six decks. The lower right cell shows a house edge of 5.39%. Following is the house edge for various numbers of decks.